Information Technology is now ruling over all. Each and every organization works under IT Infrastructure. 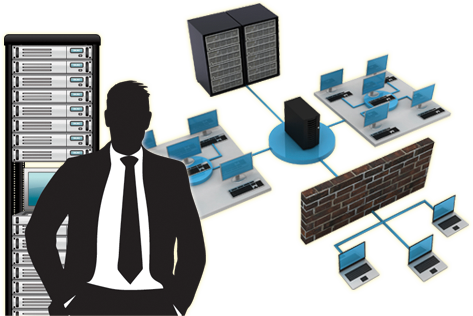 The Local Network, Internet, Systems, Servers and various applications work together to provide a IT infrastructure. Maintenance of these resources is necessary to run your business smooth and fast. security is the most important matter inside any IT infrastructure. Each and every resource needs to be secure. There are lots of chances of failure in business that is due to security threats. At V-Connect Systems & Services Pvt. Ltd., Our Technical Professionals have a decade experiences of working in a secure IT infrastructure. They have gots to create the secure work environment out of the worst. they can reassemble your companies IT infrastructure and provide you a stable and strong IT Infrastructure that will take you towards the success of your business.